As we speak of vibration, it is getting to the very core essence of whatever is happening within your life. Everything has a vibration. Some things vibrate very, very, very slowly and some things vibrate very, very, very, very quickly. My intention in speaking of the vibration is that it allows you to go to the very foundation of whatever that vibration is associated with. So when and we spoke of the vibration of love, it was manifesting love within your life, both as yourself, in relationships as how you see the world. What that did was, that triggered for some people an awareness that there was lack or there was distance when it came to love within their life. I, therefore, invited forgiveness. When you speak of the vibration of forgiveness, you’re going right to the core of clearing out, of releasing, of letting go and once you do that, love, the vibration of love flows right within. 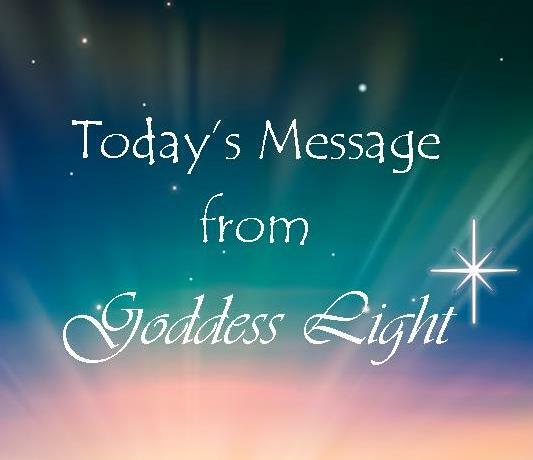 If you would like to assist Shelly carry out her work with Goddess Light, please make a donation. © 2003-2017 Shelly Dressel / Goddess Light LLC.